This morning’s reader feature was submitted by Dianna, who shared her stunning DIY Tray. 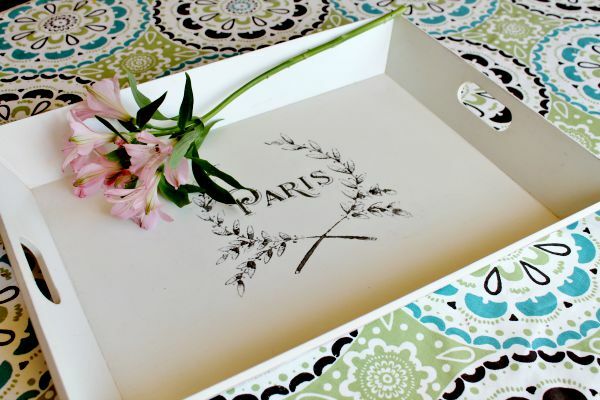 After giving the tray a coat of chalk paint, she found the Paris graphic to transfer. She used some ‘old fashioned’ transparency sheets, to act as a medium for the transfer. After printing the graphic onto the transparency, she transferred it to the tray by rubbing the ink against the wood with a wooden spoon! 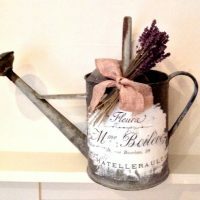 What a fabulous idea and so simple, too! She finished off the tray with a coat of matte sealing spray. 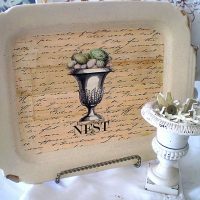 Thank you, Dianna, for sharing this awesome DIY Tray- Transparency Transfer Method. To see her tutorial, visit her blog, Adirondack Girl @ Heart. To learn how to transfer images yourself, visit the Transfer Methods Page. Thanks so much for the feature, Allyson–much appreciated!